This last week, our 7th and 8th-grade students, families, and teachers engaged in conferences. 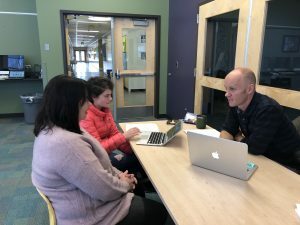 Student-led conferences are a significant part of a student’s experience here at Horizons as they give each student a chance to begin to integrate what they are learning and to take ownership of their learning. 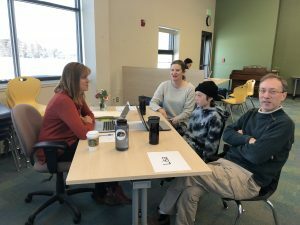 In conference, students have the opportunity to share with others what they value, what they are learning about and an increasing level of self­ awareness about who they are and how they will be of service in the world. Work samples are examined. Tests are looked at. There is also discussion of social, emotional learning. Conferences at Horizons are comprehensive, student-led and an integral part of our program.